The sign belongs to Boswell Properties, owned by Jamie Boswell, Athens real estate broker and District 10 representative to the 14-member State Transportation Board. As a member of the Board, Boswell helps decide how state transportation funds are distributed within the 10th District, which includes Oconee County. As recently as November, the county did enforce its sign ordinance for a property on SR 316 at the intersection with Jimmy Daniell Road, just one mile west of where the Boswell sign is posted. That property was being listed by Upchurch Realty. The county now has to decide how to respond to signs on an adjacent property to determine if they are in violation of the county ordinance. So far, the signs on that property remain under investigation, according to B.R. White, director of the county's Planning and Code Enforcement Office. White told me in late March that he had taken steps to enforce the county's ordinance and have the Boswell sign on the southwest corner of SR 316 and the Oconee Connector taken down. White said he even prepared a certified letter for Boswell telling him to remove the signs. White said that county administrative Officer Jeff Benko told him not to send the letter. Benko, in a conversation I had with him in his office on June 4, confirmed that he was the one who decided not to send the letter to Boswell. I had been trying to meet with Benko for several weeks to discuss the county’s lack of enforcement of its ordinance. Benko told me he had intended to talk to Boswell himself rather than send the certified letter. Benko said Board of Commissioners Chairman Melvin Davis volunteered to talk to Boswell instead. Benko told me that Davis reported back that the state had no problem with the sign being in the state right. Benko acknowledged that the county could decide to enforce its more restrictive ordinance even if the state does not want to require Boswell to remove the sign from the state right of way. So far, Benko said, the county has not taken any further action against Boswell. I talked by telephone to Georgia Department of Transportation officials in Atlanta, Gainesville and Athens this past week, and all of them said there are no exceptions to the state law. "DOT policy is that we do not allow signs in right of way," Karen Shafer, a traffic operations technician in Gainesville, told me on Thursday. White told me back in March that county procedures specify three steps that are to be followed when a sign is found to be in violation of the county’s ordinances. First, code enforcement officers talk with the person whose sign is thought to be in violation. If that doesn’t work, Code Enforcement sends a certified letter to the party involved. If that doesn’t produce the desired outcome, code enforcement officers issue a citation, which results in court action. 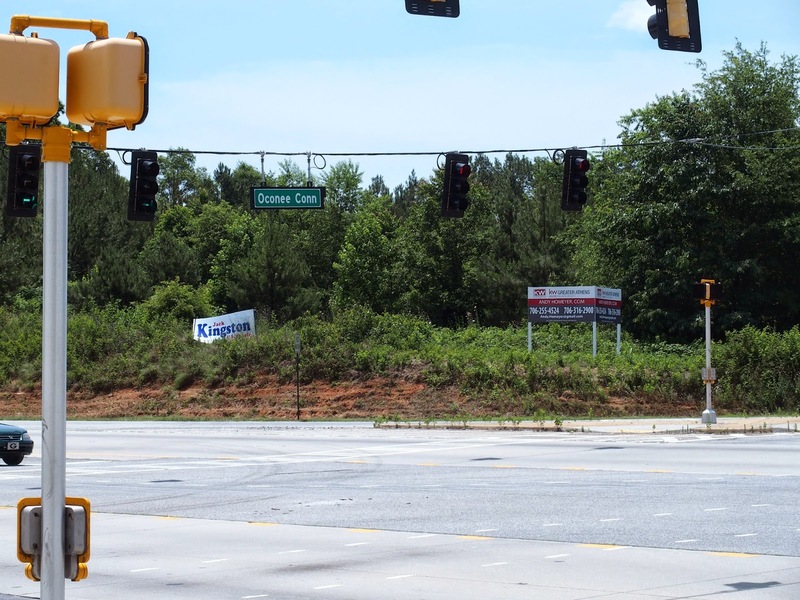 Oconee County granted a permit to Boswell in August of last year for a double sign on nearly 27 acres with frontage on Virgil Langford Road, Mars Hill Road and the Oconee Connector. Because the state right of way is very wide, the property does not extend to SR 316. The property is owned by Deferred Tax LLC of Loganville. The actual sign is located at the southwest corner of SR 316 and the Oconee Connector, where it can be seen from SR 316. Were the sign located where the permit specified it would be, it would not be visible from SR 316. White told me in April that his office had determined the sign was in the state right of way rather than five feet back from the property line. He also said that a code enforcement officer “has spoken directly with Mr. James Boswell and one other person at Boswell Properties” and informed them of the improper location of the sign. White said he had drafted a letter to be sent by certified mail as a followup to the initial conversation with Boswell and that he was instructed by Benko not to send the letter or take further action against Boswell. Code Enforcement records indicate that the three steps outlined by White were followed last year in a case involving signs by Upchurch Realty of Athens on SR 316. 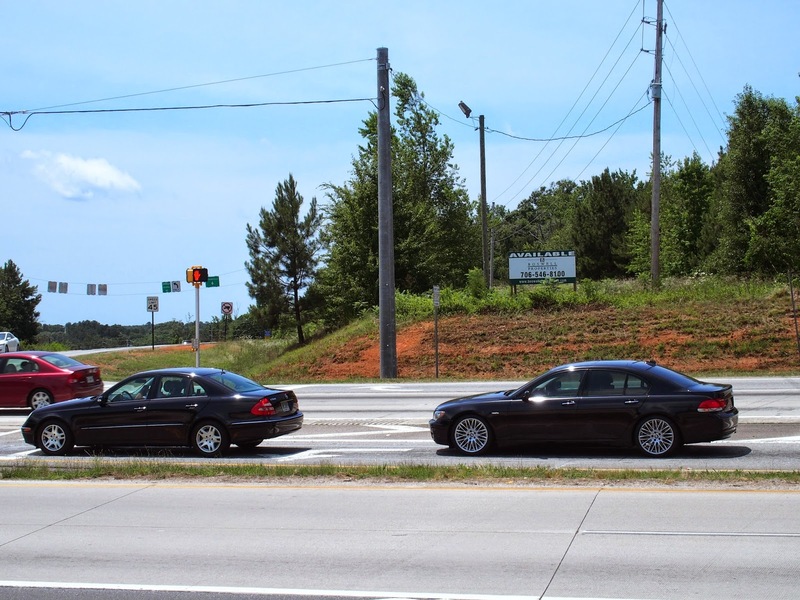 In June of 2013, Oconee County Code Enforcement, in collaboration with state Department of Transportation officials, began a discussion with Upchurch about signs on SR 316 and Jimmy Daniell Road that it believed were located in the state right of way, according to those documents. Officer Paul Smith sent Upchurch a certified letter on July 24 informing the company of the county’s contention that the signs were not located properly. On Nov. 4, Code Enforcement cited Upchurch for not being in compliance with the county statute. On Dec. 6, Smith sent Charles Upchurch an email message saying the citation was being dismissed because the signs had been removed. Boswell also listed the property on the SE corner of SR 316 and the Oconee Connector and had a sign on that property until recently. Code Enforcement believed that sign was not set back sufficiently from the property line, office documents indicate. The property is now being listed by Keller Williams Realty, 1361 Jennings Mill Road. Three signs now are on the property, with one of them in the same location as the earlier Boswell sign on the corner of the SR 316 and Oconee Connector intersection. The sign is immediately across the Connector from the Boswell sign. Code Enforcement Director White told me on Friday that his office is still investigating the signs to see if they comply with the county’s ordinance. I guess this means that entities have equal rights on the posting of signs, but Boswell's rights are more equal than the others. We absolutely must not offend Jamie -- he might remember it when OC applies for state transportation funds. Oh no, surely he would separate his personal business from his state office. I think when you say county officials decided not to enforce sign ordinances you are referring to Benko and Davis, and not the other four commissioners. I have it on very good authority that at least one commissioner was not consulted on this decision, and likely none of the others. This is how Davis operates the county, he makes decision that help his friends and supporters secretly without consent of other elected officials. It is his government and he will operate it as he sees fit. So the unelected district representative of the State Transportation Board can break the law, and Melvin Davis and Jeff Benko knowingly allow him to do so. We are now Gwinnett County-lite. Nothing to see here, folks, nothing to see. Important person flexing his influence is all.